Our brand standards are comprised of a variety of elements including logo, icon, typefaces and colour palettes. 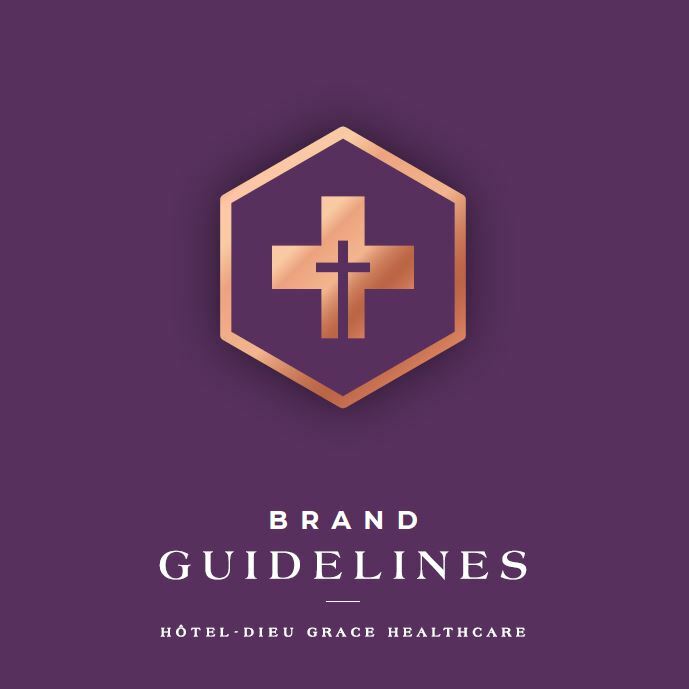 Our brand standards exists to provide clear, reliable and enduring guidance on how to use the Hôtel-Dieu Grace Healthcare brand elements and how to design for our brand identity in Windsor-Essex and beyond. They are for anyone who communicates on HDGH's behalf and will allow us to maintain authenticity, consistency and protect our brand from dilution and confusion. The tools of these guidelines should inspire each of us to take part in the HDGH story while collectively and individually benefitting from being a strong part of it.